Donald Trump, nominee of the Republican Party for President of the United States has won the US election. After months of debates and a lot of information being published, Americans have voted. This election has had nothing to do with previous ones, especially because of the polemic statements made by Donald Trump and the uncertainty of the whole scenario. In the last year, traditional methods have failed at predicting results of election throughout the world, and we have seen from the experience with Brexit and Spanish Election that we have to use social media as the only reliable source left. MogIA was developed by Sanjiv Rai, founder of Genic.ai (Indian startup). Created in 2004 it predicted the results of the Democratic and Republican Primaries, and the results of the last two elections as well. 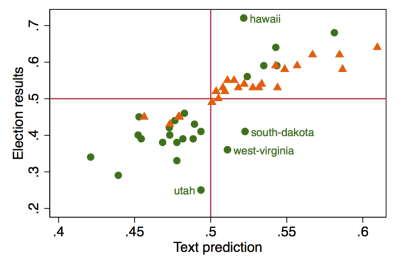 Data analyzed: Over 20 million data points, including engagement with tweets or Facebook Live videos, Google, and the model learns from the environment, developing news rules. Challenges: Rai says that the limitation comes from analyzing the sentiment around social media. Assistant Professor at Northeastern University in the Department of Political Science. 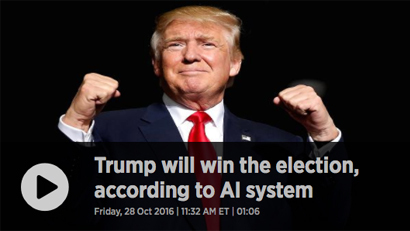 He predicted the result of the 2012 election based on tweets and machine learning. He is a social media expert at the University of Salford. He believed that Trump would win the election because of his influence on sites such as Twitter and Facebook. 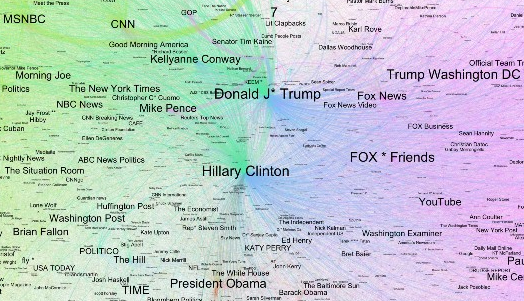 Richard Dron writes: “On social media Trump’s message seems to have more reach than Clinton’s. Is social media echoing the state of one of the most digitally connected nations in the world? The same pattern emerged on social media when we examined the EU Referendum campaigns. The views of Nigel Farage were most influential in shaping the social media conversations whereas David Cameron did not have as much of an audience. In social media analysis we are looking for the sizes of polarised crowds. The more people there are that support a certain side the higher are the chances for them to “win”. He analyses the impact of social media when it comes to candidates’ popularity as opposed to their presence on mainstream media. 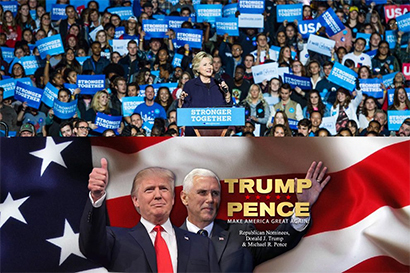 Apparently, on mainstream media, Clinton appeared in a lot more weeklies and dailes, while Trump was appearing a lot less and with a negative image. However, in social media Trump was dominating the conversation and he was more popular. From Right Relevance, they provide information about influence on social media, particularly on Twitter. They include trending terms and conversation themes. 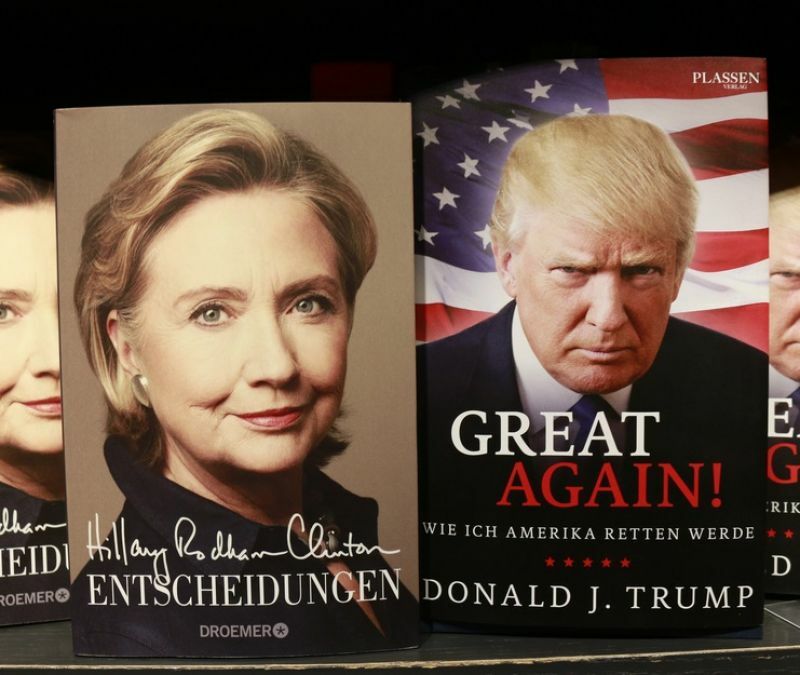 What they worked on, was an analysis of the influence of both candidates on social media and how that would affect the electoral results.